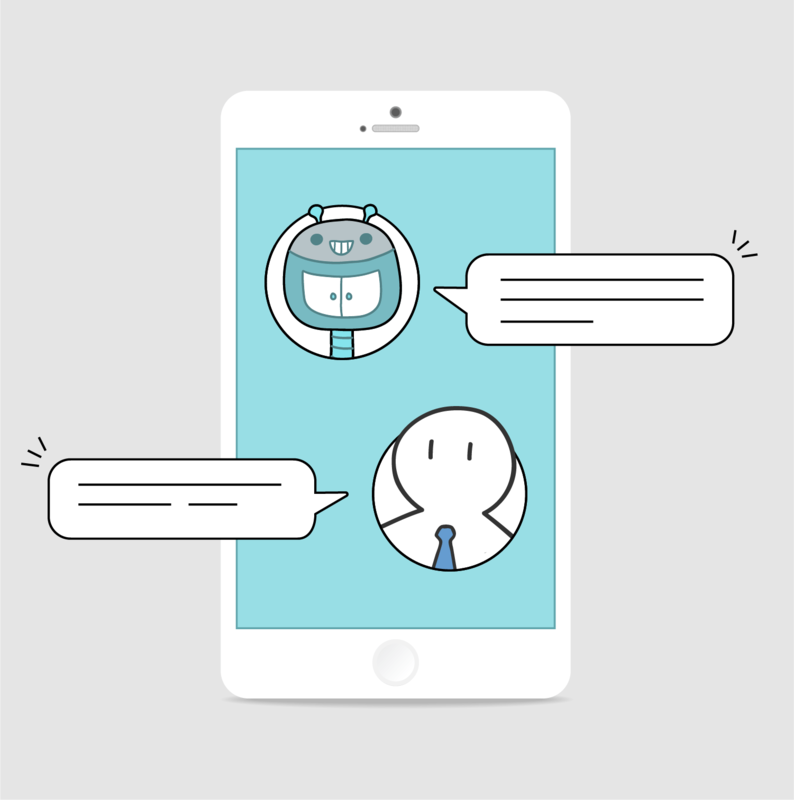 The word chatbot is not only creating a buzz on the tech side of the industry but also amongst the UX designers. But what is the buzz all about? Back in 2011 everyone was talking about Responsive Design but now it is the conversational interface. Essentially, a Conversational Interface is more human and mimics a real world human conversation. The traditional interfaces are pretty similar, the difference being the instructions or conversations are in the form of buttons, menus and other interaction patterns. Whereas there is not much of difference in the conversation UI, you directly use words and emoji to talk to the machine. Well, then what is the UX of chatbots all about? It always important to remember that you are creating a design for human emotions. Talking to a robot is always monotonous and boring. It would not attract people and hold them back as it is not what they are used in the form of. So ensure that the chatbots project a personality that the user would correlate most easily too. The emotion is your chatbot and your chatbot gives a user the experience. This does not mean that I am contradicting what I just mentioned. It is important to give your bot a personality, but it is also important to ensure that the users know they are talking to bots and not humans. It is bad user experience to make them feel that they do not understand the system. This means that just to make your bot look more human real you introduce artificial delays like -”is typing”. On the contrary, you should play with the styling of the bot messages and indirectly communicate that they are not humans. Simplify choices – It is important for bot conversations not to lose context and follow linear conversation routes. It is absolutely okay to expose and explain limitations. As a designer, you just need to ensure that the steps that the user goes through to reach their end goal should not be complicated and long. The user should be guided through easy and simple choices. So, always provide users with options for specific inputs with exclusive buttons or visual options through carousels. The simplifying choice is an important feature of designing chatbots. The use of chatbots should not be restricted to an FAQ or customer support team alternative they should be used to improve the end user experience. A designer while designing for bots should always cross question – Would a human do a better job here? If it’s a yes, then you should understand that the bots are there to replace humans at what they are good. Bots are there to replace humans where they are slow or less efficient. Know when to end the conversation- Don’t leave the users clueless or endlessly trapped in a conversation. More the number of alleyways a conversation goes through more are the chances that they have dead ends. It is important to have some soft words like “ oh no” or human fallback options like “ Ahm, I think I didn’t get you. I am still learning !”. Or validate the structures text like phone number, email id before proceeding, this would keep the conversations on track. Keep the context in mind – User context is an essential aspect in the UX design elements. Like for a product, it is important to know your user persona; same goes the case for chatbots. You can use the predetermined queries to keep the context in mind. The user information and user context can be fine tuned over time and the chatbot replies and questions can be designed to consider the user context. The bot behavior would change depending on if it is a new user or an old user. Chatbots are the new cornerstones in the web technologies, opening a whole new set of possibilities and opportunities for creative work. This shows that creative tweaking would never cease to evolve. With enhanced focus on customer engagement and interactions, chatbots in the form of conversational interface will be adopted by a huge number of businesses. So, it is important to design them right for the right set of users. Previous article How to promote your Messenger Bot!